Were you diagnosed with sleep apnea? Does your heavy snoring prevent you and your loved one from enjoying a restful sleep? Were you recommended CPAP, but you have a hard time getting used with the noise and discomfort it involves? Then it is time you saw a snoring dentist, and looked for an alternative. The term “CPAP” stands for continuous positive airway pressure, and refers to a treatment that involves the use of mild air pressure to keep a patient’s airways open during their sleep. It is usually prescribed to patients diagnosed with sleep disorders, like sleep apnea. This condition involves breathing pauses ranging from several seconds to a couple of minutes, and begins with the blocking of one’s airways while they sleep. The airways are usually blocked by the tongue that falls backwards and obstructs airflow into the windpipe. When this happens, the person wakes up, and falls back asleep instantly. However, since this cycle repeats itself tens or hundreds of times every night, the person wakes up feeling tired instead of rested, and, in the long run, this affects their daily routine and their health. 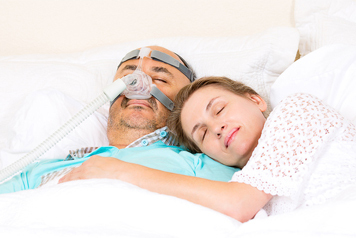 The CPAP apparatus forces air into one’s lungs using a mask-like appliance that covers one’s nose and mouth. While in use, the machine maintains proper airflow to one’s lungs, but most patients give up using it because of the noise it makes and of the uncomfortable mask. Since the airway blockage is most of the times related to the tongue’s position inside one’s mouth, dentists have developed their own solutions to the problem, in the form of oral appliances. Dentists specialized in treating sleep disorders and dental appliances are able to provide an alternative – devices which help prevent airflow blockage in a less invasive way. Such a device, also known as snoring appliance, will fit tightly into one’s mouth and reposition the tongue or realign one’s bite, thus clearing the airways, and preventing snoring. There are two types of snoring devices: over the counter, and custom-made. Over the counter devices are cheaper and widely available. They are made of very soft and flexible materials, to mold to one’s teeth and tongue and ensure a proper fit. Custom-made devices are created based on the needs and measurements of each patient. They are more expensive, but they are made from durable materials, they last longer, and they ensure a better fit. Custom-made mouth-guards are comfortable to wear at night, some patients even forgetting about their existence. They basically push the tongue forward, to prevent it from falling back and blocking airflow into the windpipe. You just place them in your mouth before going to sleep, and you sleep better, rest better, and snore less, or stop snoring completely. It is therefore no surprise that they have become the most popular and effective sleep apnea treatment. Finding a reputable sleep dentist, and getting an effective sleep apnea treatment is much easier than following the procedures and undergoing the diagnosis tests of a traditional sleep clinic in Chicago. Illinois is home to many reputable professionals with years of experience in treating temporomandibular joint (TMJ) problems and sleep disorders, and an impressive background in developing and creating custom-snoring appliances. 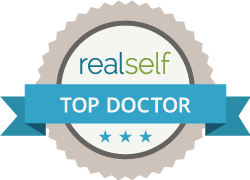 Dr. Ira Shapira is known as the best snoring dentist in Chicago, member of numerous professional organizations, and famous for his research and achievements in the field. With a single consultation, you can put an end to your snoring issues, get adequate treatment for your sleep apnea, and live the rewarding life you deserve. Make an appointment now to stop snoring and start getting the rest you need! I have a custom made snore guard, top of the line and a cheaper dental appliance to help me stop snoring. I went back to the cheaper one because the fit was bothering me. I noticed my quality of sleep going down to 82% over the 92% for the top of the line. Went back to the more expensive one. It is worth every penny. I highly recommend one getting it.